Part of a project to paint female characters in Thai literature. 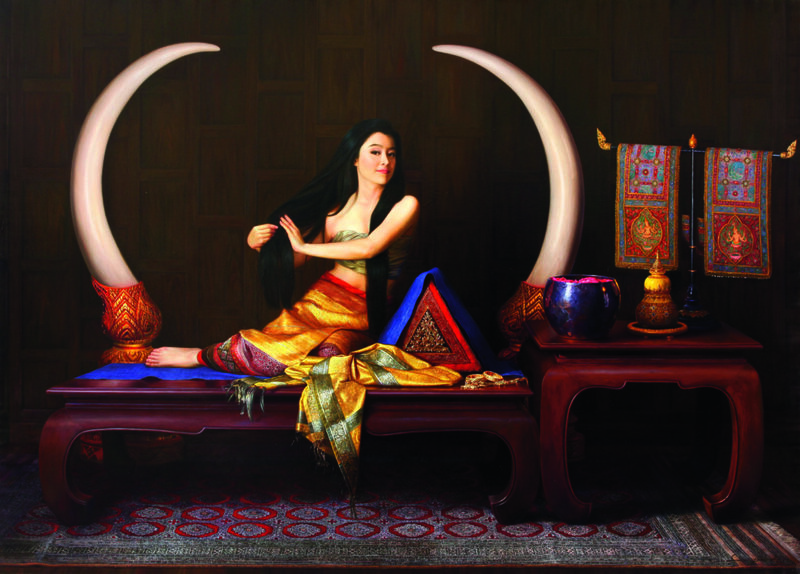 Inspired by a folklore of Esan, it is a realistic painting in combination with beliefs. 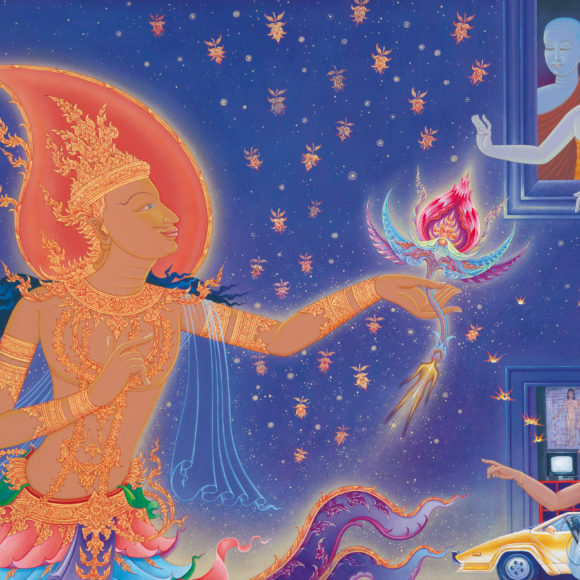 The painting of a lady with fragrant hair manifests a Thai woman’s delicate and impeccable manners, according to an ideology. Her slight smile without seeing the teeth presents delight and happiness. Also, the surrounding atmosphere has a contemporary element which encourages people who see this painting to have further imagination.